I just made this for dinner tonight: yum! Emeril Lagasse really came through. I made a few changes but really followed the recipe exactly. Instead of skinless chicken breasts, I used a 1 pound package of chicken tenders. Make sure to take the ligament out: see Chicken Tender post. I used a 10 ounce package of white mushrooms. It’s just a little over 3 cups when sliced. See my Mushroom post on how to clean them. I know buying a bottle of Marsala wine seems a bit excessive (fortunately it’s not that much money). But I have had mine for a couple of months, in the refrigerator, waiting for the next recipe and it was fine. I also used 1 tablespoon of butter at the end instead of 2. 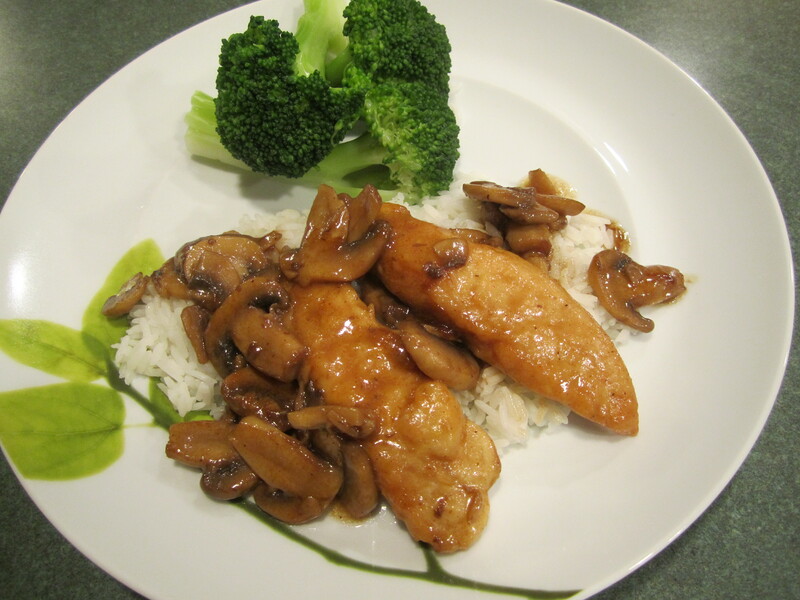 So when we were all finished eating, my husband looked at me and said “I normally don’t like Chicken Marsala (I never knew that!) but this was very good.” Whew! !